Updated 10/21/18. 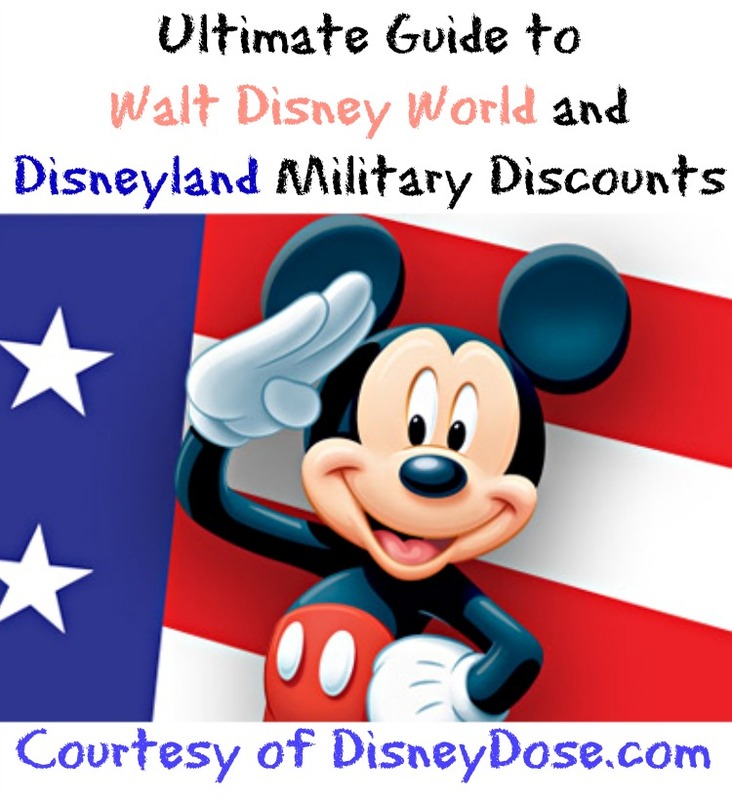 Steve of MilitaryDisneyTips.com nicely wrote up this guide to Military discounts at Walt Disney World to explain how the discounts work to both you and me. The long answer is; The discounts are many and varied and your exact military status governs your eligibility for the various offers. 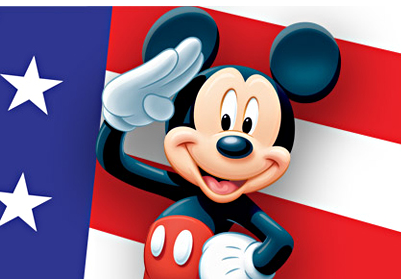 The most publicized and well-known military discount is Disney’s Armed Forces Salute. Special short term offers for a specified period (usually one year), which include greatly discounted Disney World and Disneyland theme park tickets and up to 40% off Disney resorts. The Armed Forces Salute ran in 2002 and then started again in 2009 through the present. There is another Disney ticket discount, which has always been available. Military base ticket offices sell slightly discounted Disney Magic Your Way tickets. These tickets are from 4% to 8% off, based upon the number of day and options purchased. These are for both Disney World and Disneyland and are only available from military base ticket offices. Military vacationers going to Walt Disney World in Florida have an additional way to save on their vacation. 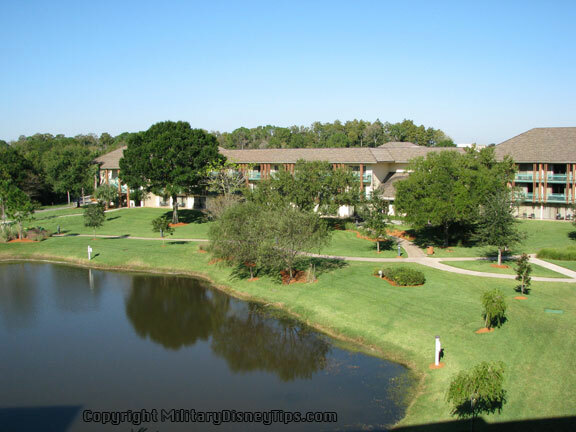 Shades of Green is a military owned and operated resort located on WDW property. 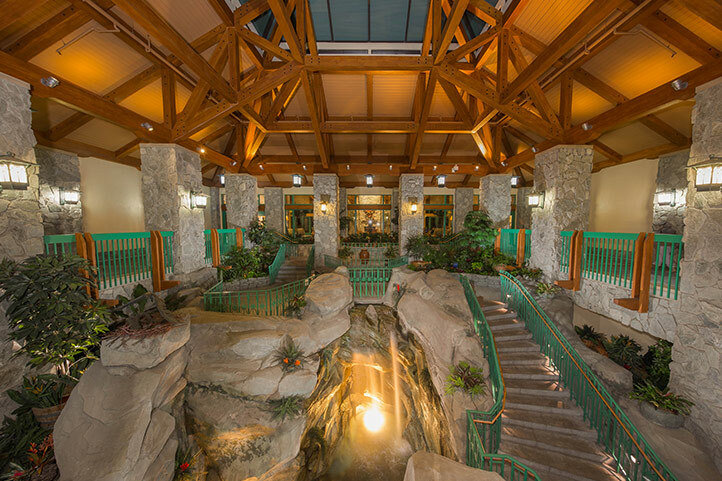 The resort was purchased from Disney by Army Morale, Welfare, and Recreation many years ago in order to provide a cheaper option for military members and their families who want to relax and de-stress at Disney World. Shades of Green is a Deluxe, Magic Kingdom Area Resort with rates based upon rank that are closer to a Disney Moderate Resort price. Shades has all the amenities two pools, several restaurants, and the largest guest rooms on Disney World property. There is also a ticket office at which all the tickets mentioned above can be purchased as well as Shades all-inclusive Stars and Stripes passes. For those who don’t care if they stay on Disney World property, the Walt Disney World Swan and Dolphin Hotels offer special military rates, as do the Downtown Disney Area Hotels. 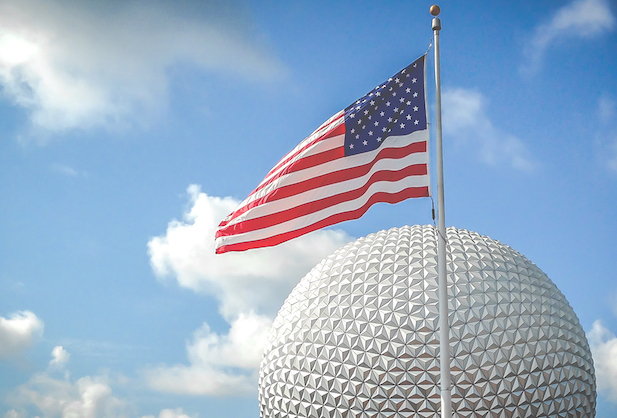 Besides Disney, there are many other options for military discounts in the Orlando area. Universal Studios, SeaWorld, and Legoland all offer discounts, as do many other venues. So, yes there are military discounts available for Disney. We’ve hit all the high points, but some of the details can be tricky. If you are a military member and are interested in any of these discounts I encourage you to spend some time researching your options and it will really pay off! Steve produces the MilitaryDisneyTips.com website. He’s a retired military member, former Disney Cast member, and frequent visitor at Disney World (He says it’s for research). The Disneyland Resort and Walt Disney World will often offer additional promotions throughout the year that will vary from their typically offered discounts. Choose between a Disney 4-Day Military Promotional Ticket or a Disney 5-Day Military Promotional Ticket. The Park Hopper Option is included, so you can come and go as you please at all 4 theme parks each day of your ticket!Purchase now through December 15, 2018 and receive admission for 5 days for just $246 plus tax when you visit during the period from January 1, 2018 through December 19, 2018. Or purchase now through December 16, 2018 and receive admission for 4 days for $226 plus tax, during the same period. 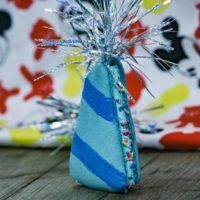 And if you’re looking for a little extra magic, add the Park Hopper Plus Option for just $40 more plus tax.In addition, you can purchase the Memory Maker product for a special price—$98 from January 1, 2018 through December 19, 2018. The room discount runs through December 19, 2019. Military room discounts are not available for stays between April 14, 2019 to April 25, 2019. And of course, don’t forget Shades of Green that Steve mentioned above. Shades of Green is a Deluxe, Magic Kingdom Area Resort with rates based upon rank that are closer to a Disney Moderate Resort price. Shades has all the amenities two pools, several restaurants, and the largest guest rooms on Disney World property. Over at Disneyland, military members also receive a discount on their hotel stay at Disney owned resort hotels. Enjoy great rates on select rooms at the Disneyland Resort hotels, valid for stays most nights from January 1 through March 22, 2018 and April 9 through December 19, 2018. 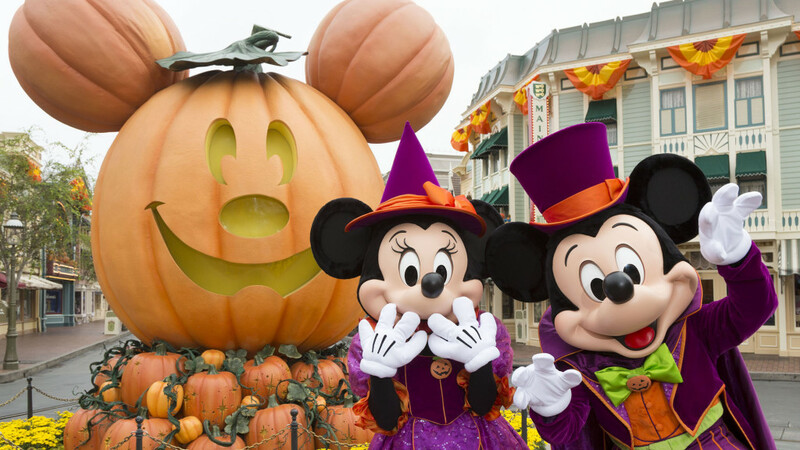 Disney typically offers discounted tickets on select dates for Mickey’s Not So Scary Halloween Party and Mickey’s Very Merry Christmas Party at Walt Disney World. Tickets can be purchased at ticket booths or the Shades of Green resort. Unfortunately, there’s not a military discount offered for Mickey’s Halloween Party at Disneyland at this time. 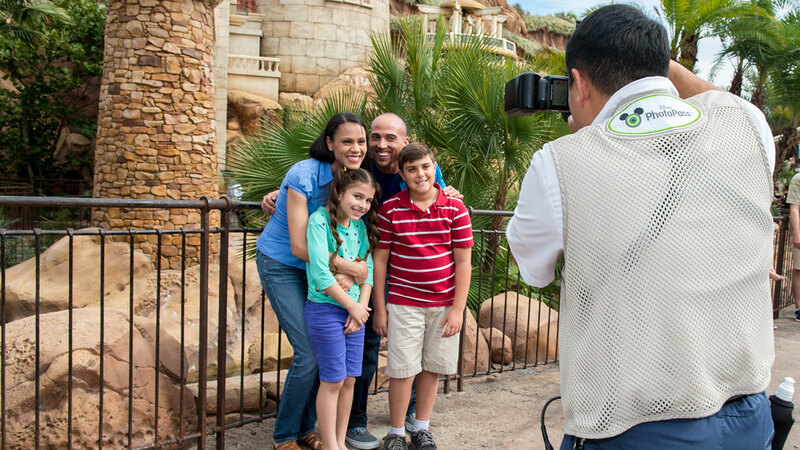 Plus, you can purchase the Disney PhotoPass Collection product for a discounted price—$49 plus tax from January 1 through December 19, 2018. You can purchase the Memory Maker product for a special price—$98 from January 1, 2018 through December 19, 2018. Disney Military Promotional Tickets may be purchased at participating U.S. military sales outlets by Eligible Service Members (defined below) or their spouses (but not both), for use by themselves and only family members and friends, as provided herein. These Tickets may not be otherwise transferred, distributed or resold. “Eligible Service Members” are active or retired members of the U.S. Military, including the National Guard, Reservists, the U.S. Coast Guard, the Commissioned Corps of the Public Health Service (PHS), and the Commissioned Corps of the National Oceanic and Atmospheric Administration (NOAA). Spouses of Military Service Members also qualify if they are able to present valid and active U.S. Military IDs in the absence of active or retired Military Personnel or Commissioned Corps Members. Tickets and options expire and may not be used after December 19, 2018. Valid military identification will be required for purchase and use. Wow, what a great post. 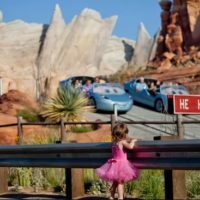 I checked out Steve’s site and appreciate it’s in depth look at Disney Military Discounts. 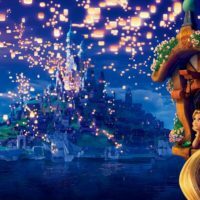 I agree about MilitaryDisneyTips.com completely. It is the best site on the web to find information about Military visiting the Disney Parks and available discounts. I really enjoy being able to help my military brethren by spreading the word on these sometimes confusing discounts. Planning a Disney vacation is daunting enough with out throwing the extra topic of military discounts into the mix. Next Post: Travel Tip: Use your Disney Visa!